Toyota Motor Corp plans to produce 100,000 units a year of a new hybrid-only model slated for release in 2009 at a subsidiary in southern Japan, the Nikkei business daily reported on Saturday. The new car, which will be Toyota’s second dedicated hybrid model after the hot-selling Prius, will have a 2- to 2.5-litre engine and will also be sold under the company’s luxury Lexus brandname, the paper said. You may remember last month’s announcement/retraction about this very vehicle, but to recap: Toyota VP of R&D Masatami Takimoto stated that there would be three hybrids announced; the next-gen Prius, a new Toyota, and a new Lexus. 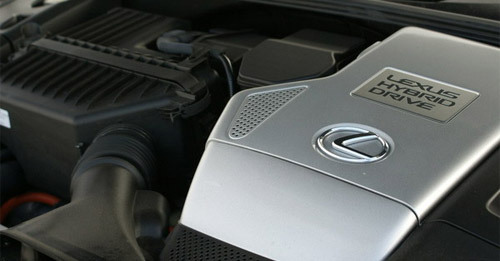 However, this was later retracted by Toyota, who said that it was one Toyota & one Lexus. What’s the big deal? Well, the common opinion is that the new Lexus hybrid will be a variation on the Prius, but that’s less likely if indeed there’s a new Toyota in the works. If you consider the Toyota lineup, I would say a hybrid Rav4 is the best fit, which means Lexus may have a BMW X3 competitor on the way.